The long Easter weekend couldn’t have come round at a better time. The few days away and change of scene was very much needed and I felt recharged, ready to take on the last few weeks of training. On Friday, my parents and I headed up to Oakham, not far from Leicester, to stay with my godmother. I’ve visited Stamford a couple of times, with a friend I went to college with, and have to admit I’ve really fallen for the place. It’s so beautiful and I find it so peaceful. 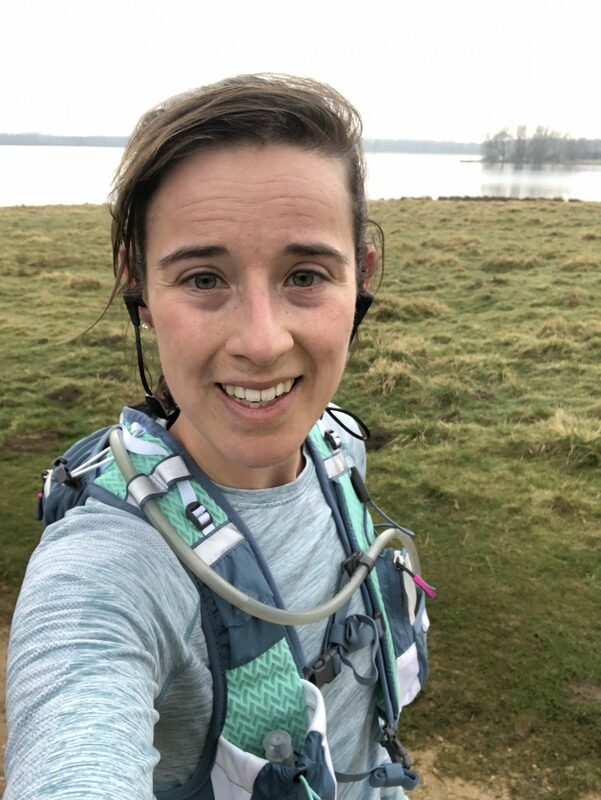 The main reason for heading up there was so I could run around Rutland Water for my 20 miles, and tie it in with staying/spending some time with her. We arrived just in time for lunch then my parents headed out for a walk into town. I decided to stay behind and rest on the sofa, knowing what I had in store for me the following day.. When I went to bed, I could hear the rain pounding on the window and prayed that it would either pass or slow down before the morning rolled round. My alarm went off at 6am…I headed downstairs to eat breakfast and try to calm myself. For some reason I was super nervous. I felt sick and started questioning myself. A lot of other people I knew were running the same distance today, so I didn’t feel like I was the only one about venture into the unknown. I got dressed, sorted my hydration pack and packed my snacks, it was 8am and I was ready as I was ever going to be. The rain, thankfully, had stopped, and it was quite mild out, which was a really nice change. I headed around the back of my godmothers house and looped onto the main road then headed for Rutland Water. I will admit that my mind and legs were just not interested in running this distance. I reached the entrance around mile 5 and wanted to give up. So, I decided to break it down into sections, telling myself I will run 5 miles around the water and then 5 miles back to this point. I could do it, and I WAS going to do it! At mile 7 I was strangely quite hungry so munched on my Clif bar and at mile 10 stopped for a few moments to gather myself and have a little cry. Crying not because it was painful but crying because it was an emotional battle I’d not experienced before. Knowing at this point it was time to head “home” was the only thing getting me through the last 10 miles. Again, 5 back to the gate then 5 back to the house. At mile 16, just as I was running over the bridge, my parents drove past and waved frantically at me. THIS was what got me to mile 20. The push I needed. When I got back to the house I couldn’t quite believe what had happened. I’d done it. I had RAN 20 miles….I slowly let myself in, ran a bath and started stretching. I grabbed some food and soaked in the bath with a smile on my face. When my parents arrived back, I wanted nothing more than a hug from my mum. Waiting for that felt like years and boy was it one of the best hugs I’d had! We then gathered our things and headed out for lunch. I continued to feel good for the rest of the day, a little stiff and hungry, but good. The evening consisted of more stretching and foam rolling, whilst nibbling on my Easter egg and watching a film. I headed to bed and was thankfully asleep within minutes. Sometimes after my long runs I find it super hard to get to sleep and end up tossing and turning for what seems like hours. The following morning I was awake super early. I was not impressed! I was hungry, so made myself a huge bowl of porridge, tea and water before setting up camp on the sofa. After lunch it was time to say our goodbyes and head home. It was so lovely to see my godmother, and my godson, catch up and enjoy being together. The time away was very much needed. 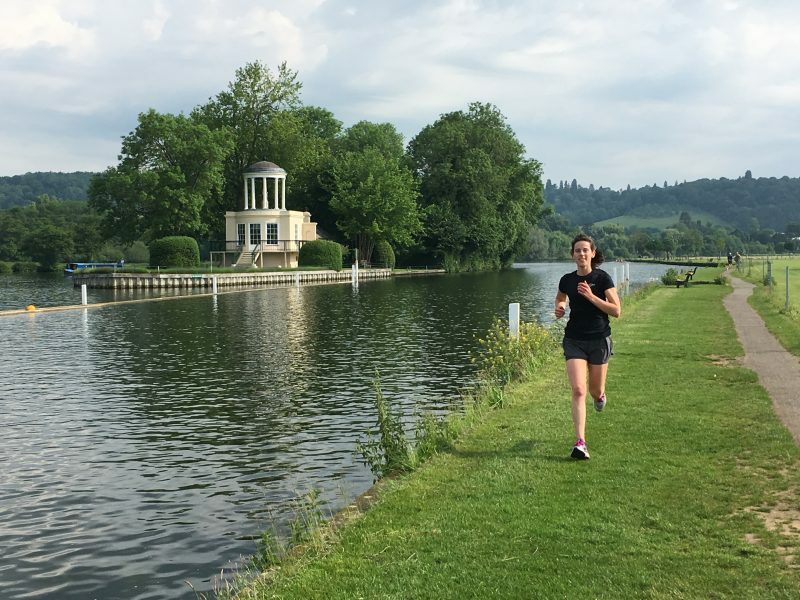 On Easter Monday I met Charlie for some morning miles along the river…or what we thought we could do along the river! Turns out that it had rained more than we had thought and most of the footpath was flooded/not worth risking. So we settled for our normal early morning route and ended 8 miles with much needed coffee. My legs felt really good and I used this run as a shake out/chance to get my legs moving again. I ended up doing just over 6.50 miles, which I was happy with. I’ve learnt so much on this marathon training journey, about my body and myself. Its been a whirlwind of many smiles and a few tears but I wouldn’t have chosen it if I knew I couldn’t do it. As you all know, the reason I am running London is for the Children’s Wish and the support/fundraising for that has blown me away. So thank you, again, to everyone who has sponsored me and generously given to such a great charity. As I sit here, waiting for my friend to arrive so we can do our last long run, I feel quite sad that its all coming to an end. I will miss the Sunday long runs the most, I think. Getting out with friends and knowing other people are doing the same. 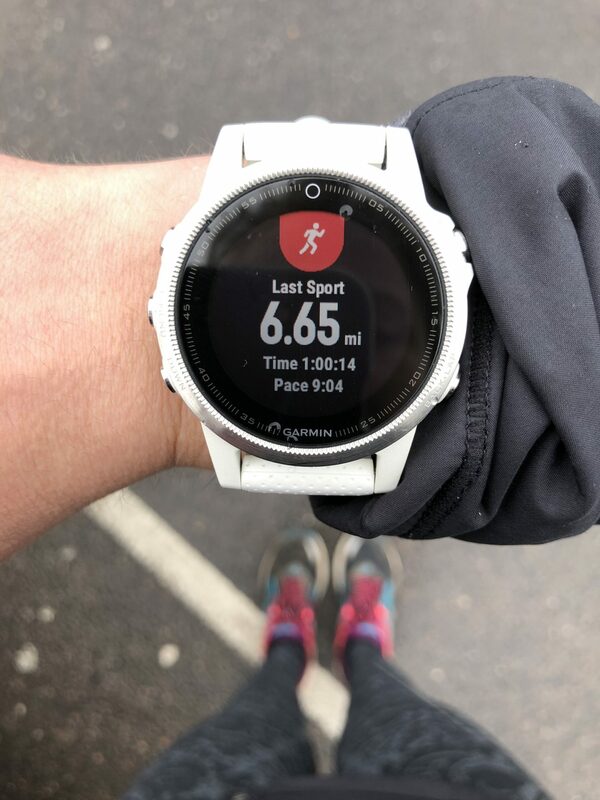 Strangely I feel like we are all connected in this running journey, but equally all live so far from one another and lead completely different lives. Regardless of that, I couldn’t have done it without the support from everyone on social media, as well as family and friends. I feel like I know all of you so well and can’t wait to, hopefully, meet you on the day! A huge well done to everyone for smashing their long runs. Enjoy your last one and taper can begin!